Whilst the Olympic torch has commenced its journey through Britain, test events have successfully taken place without a hitch. As the London 2012 Games edge closer to their 27th July start date, Melosport continues with its historic look at the Olympics. 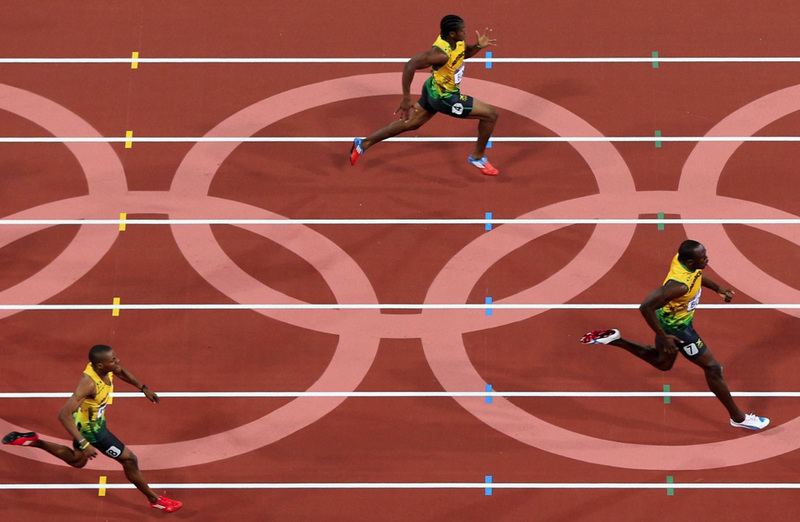 Today’s article covers the Games during the 1980s – a decade dominated by Carl Lewis, Ben Johnson and the Cold War. After the Soviets invaded Afghanistan in December 1979, the US led a boycott of the Games reducing the number of competing countries to 80 – the lowest number since the Melbourne Olympics in 1956. Aside from the politics, there were some epic athletic performances in Moscow. Soviet Aleksandr Dityatin became the first athlete to win eight medals at one Games, as he dominated men’s gymnastics. Gerd Wessig of East Germany became the first high jumper to break the world record at the Olympics. 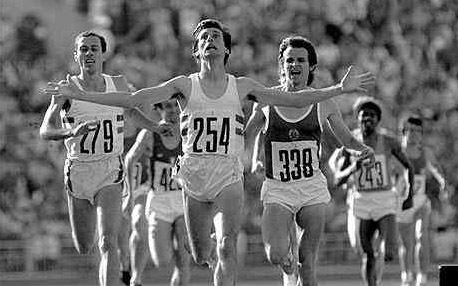 British middle distance runners, Sebastian Coe and Steve Ovett, brought the best of each other in Moscow. Ovett won the 800m gold, beating Coe, who was the 800m world record holder at the time. Ovett was a master at the 1,500m event, as he had won 45 straight races before the Olympics, a record spanning back to May 1977. Confidently, he wrote an article in a British newspaper before the Olympics that he had a ‘90% chance of winning’. Coe, spurred by his 800m defeat, won the 1,500m gold with Ovett finishing up in third place. Britain also won gold in the men’s 100m (their first since 1924). Scot Alan Wells won the final in a time of 10.25s after a photo-finish with Cuban Silvio Leonard. Predictably, the USSR stormed the medals table winning 80 golds compared to 47 for second placed East Germany. The Soviets decided to boycott the Games as a retort to the US-led boycott four years earlier. 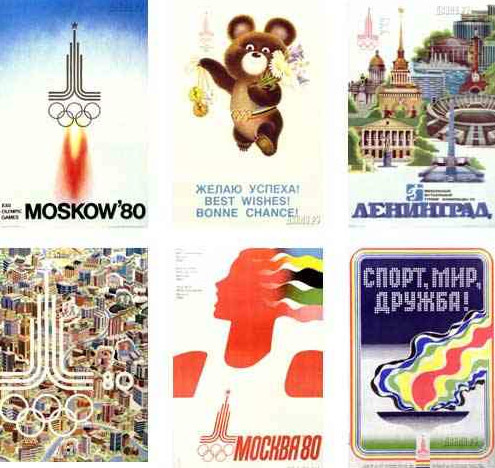 This resulted in a large number of Eastern Bloc countries (58% of the gold medalists at the 1976 Games) missing the Games but it did not halt Los Angeles generating a record $223m profit as there was no excessive spending on new infrastructure – as these were the first Games since 1896 to be staged without government financing. 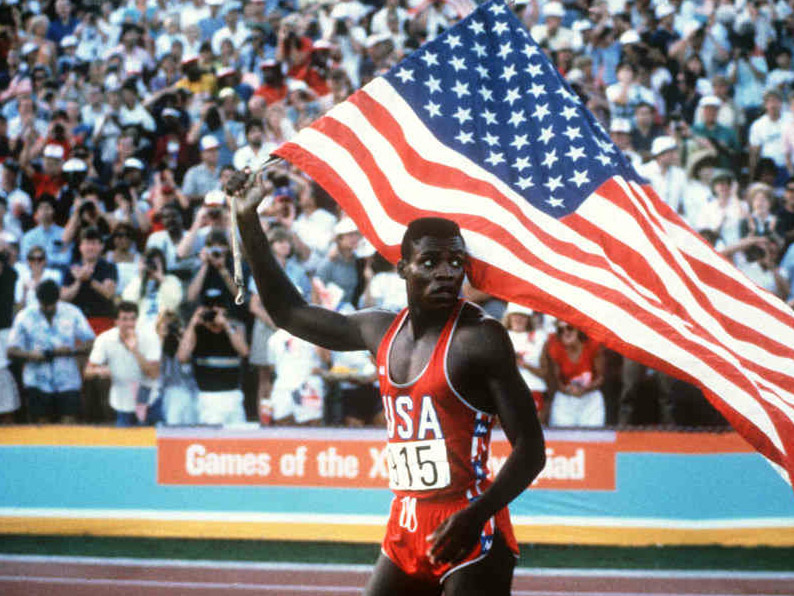 The USA produced a star, dazzling on home soil, as Carl Lewis shone in his first of four Olympic Games. He emulated the legendary Jesse Owens by winning four gold medals, triumphing in the 100m, 200m, long jump and 4 x 100m relay. Carlos Lopes won the marathon in two hours and nine minutes, a world record which stood for 24 years. Lopes also became the first Portuguese athlete to win an Olympic gold medal. France became Olympic football champions by beating Brazil 2-0 in the final. Surprisingly, some matches at the Rosebowl were sell-outs, which ignited an interest in the States hosting the World Cup. Ten years later, the interest became a reality as the 1994 FIFA World Cup was held in North America. In the absence of the majority of the Eastern Bloc, the USA won 83 gold medals compared to second placed Romania, who won 20. USA’s total medal haul of 174 was over three times higher than Romania’s. After the success of 1984, the Olympics moved across the Pacific Ocean from LA to Seoul. Awarding the Olympics to South Korea was a reward for a country embracing democracy but also led to boycotts such as North Korea. 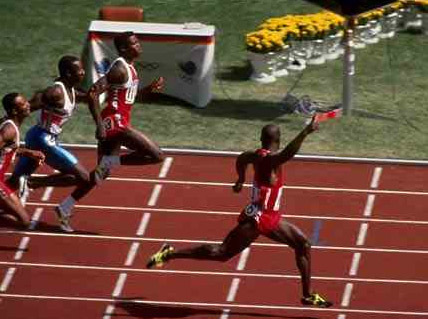 One month before the Olympics, the two faced-off in Paris where Lewis was victorious, prompting him to claim that he would “never lose to Johnson again.” Johnson though, to Lewis’ dismay, won the Olympic 100m final in a time of 9.79s. He even claimed that he lost time by raising his arm before crossing the line. The Canadian media were ecstatic whilst Lewis was inconsolable. Three days later, Johnson tested positive for the banned drug stanozolol, which he claimed in 2006, was due to an American conspiracy where a ‘Mystery Man’ had tampered with his urine sample inside the doping-control room following the Seoul 100m final. Johnson’s coach, Charlie Francis, meanwhile admitted that Johnson, and all the athletes he coached, had been taking steroids for years. Francis argued that all world-class athletes at the time were taking banned substances. It should be noted that five of the Seoul 100m finalists tested positive for banned drugs or were implicated in a drug scandal at some point in their careers: Carl Lewis, who replaced Johnson with the gold medal, Linford Christie, who was moved up to the silver medal plus Dennis Mitchell and Desai Williams. American Flo-Jo (Florence Griffith-Joyner) dominated the women’s sprints events in 1988 by winning golds and setting world record times which have never been broken. Although Flo-Jo set an Olympic record in the 100m final, she did not break her own world record which she set prior to the Olympics during the US trials. Flo-Jo retired from athletics after the Olympics to pursue a career in fashion and start a family. Although Flo-Jo attracted considerable attention due to her substantial improvements in 1988, no evidence has ever been obtained to suggest she was a drugs cheat. She died in 1998 following a severe epileptic seizure. The post-mortem showed no evidence of drug use. Another American, diver Greg Louganis, won back-to-back Olympic golds in both diving events. He hit the springboard in the 3m final resulting in a cut head and blood in the pool. This became quite controversial years later when Louganis admitted that he knew that he was HIV positive at the time but decided against telling anyone. Tennis ended its 64 year absence from the Olympics. Steffi Graf won the women’s gold medal which added another title to the coveted Grand Slam which she won in 1988. In their last Olympics as nations, the Soviet Union finished top on the medal table winning 55 golds, with East Germany edging out USA to the runners’ up position by winning 37 golds to USA’s 36.